We invite you to join the Cartograph Circle and be part of an exculsive group of friends who prize elegance, balance and nuance in wine. The Cartograph philosophy is simple: to make wine of unique character and complexity, you have to start with grapes that demonstrate unique character and complexity. 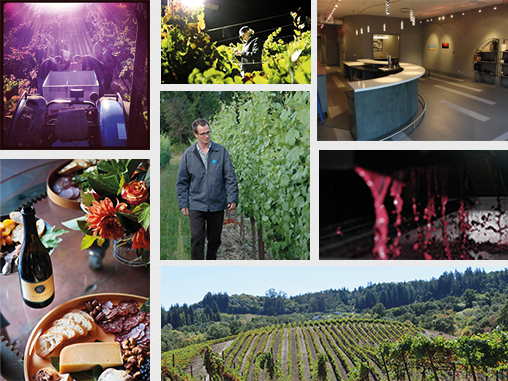 We look forward to spending time with you at Circle events and in the tasting room. Hope you'll come visit soon! Three new release wines chosen by our winemaker. Pick your own 6 bottles from our new releases. 12 bottles chosen by you with access to new and current releases and flat rate shipping. 24 bottles chosen by you from our entire portfolio with flat rate shipping and increased discount.